We also offer Broadly customers a Facebook Promoted Reviews program. 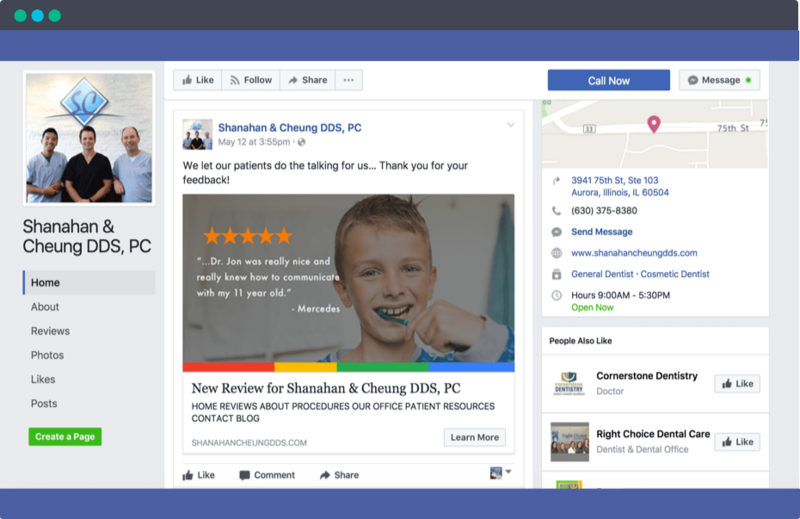 Show off your favorite reviews to thousands of prospective customers by promoting them on Facebook. When people see your amazing feedback, they'll be more interested in working with you! Promoted Facebook Reviews are a great way to show off your business & the great things your customers have to say. 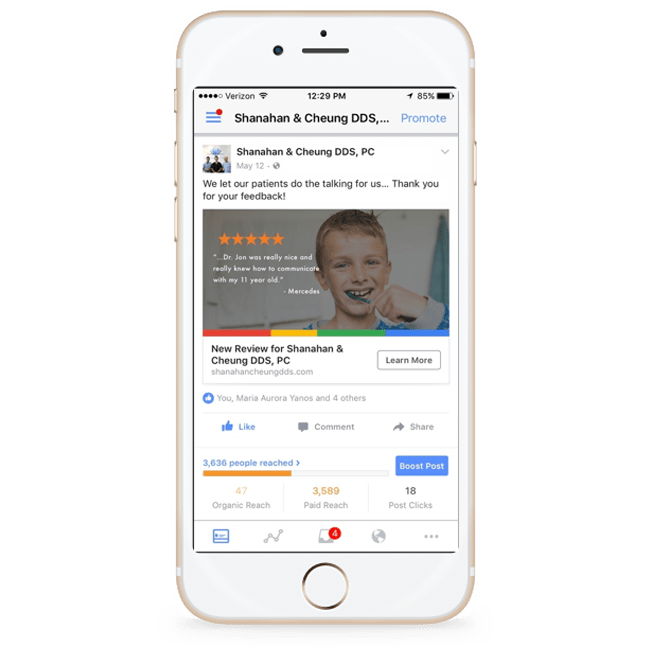 This is your opportunity to show off you reviews to consumers on Facebook – and that’s a huge audience! The goal of this program is to build business credibility, drive traffic to your website and obtain new clientele. Your dedicated Broadly support team will be with you through every step of the way and help optimize to ensure success along the way. You’ll also have access to results anytime you log into your Facebook Business Page! Curious about the results you’ll get?